When it comes to Highlands NC homes kitchen updates need not break the bank. Many people look at the kitchen when preparing a home for sale. 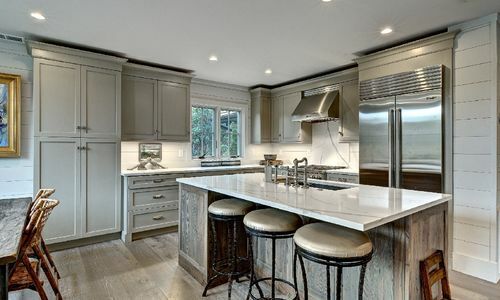 For many would-be sellers this can be a daunting topic, with dream kitchens costing tens of thousands of dollars to create. However, small updates can make a great impact. Take the time to do your research prior to making a plan. Low budget updates can be as simple as rearranging furniture and accessories in your kitchen. De-cluttering the counters is another simple update. A clean, organized kitchen is appealing to everyone! Other easy updates can be a new window treatment, new fixtures, or new cabinet hardware. If large ticket items like new cabinets and appliances are not necessary you have many options to change the look of the kitchen. A Highlands NC REALTOR can be a great resource when it comes to preparing a home for sale. Local real estate professionals are in touch with current trends as well as what buyers are drawn to at the moment. Getting advice for what needs to be done to update prior to listing your Highlands NC home for sale is valuable. Contact our team at Berkshire Hathaway HomeServices Meadows Mountain Realty today to learn more about Highlands NC real estate. We welcome the opportunity to update you on the market while getting you familiar with the selling process. Let our knowledge and experience serve as your guide to Highlands NC homes. Click here to view “25 (Almost!) Free Kitchen Updates” from HGTV.